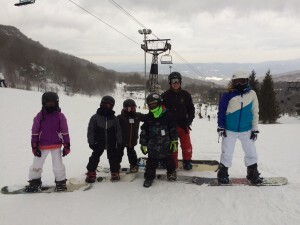 Home TravelNC/SC Travel	It’s the PERFECT weekend to hit Beech Mountain! It’s the PERFECT weekend to hit Beech Mountain! Smarties, winter finally arrived in North Carolina, and it’s time to hit the slopes! We’re looking at AWESOME ski weather this weekend – a recent 8″ dump of fresh snow and powder and sunny Carolina blue skies! We’re so lucky that Beech Mountain is a hop, skip and a jump from the QC. 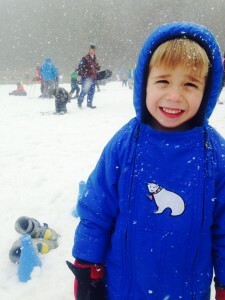 And this weekend is the perfect weather for a spontaneous family ski outing! 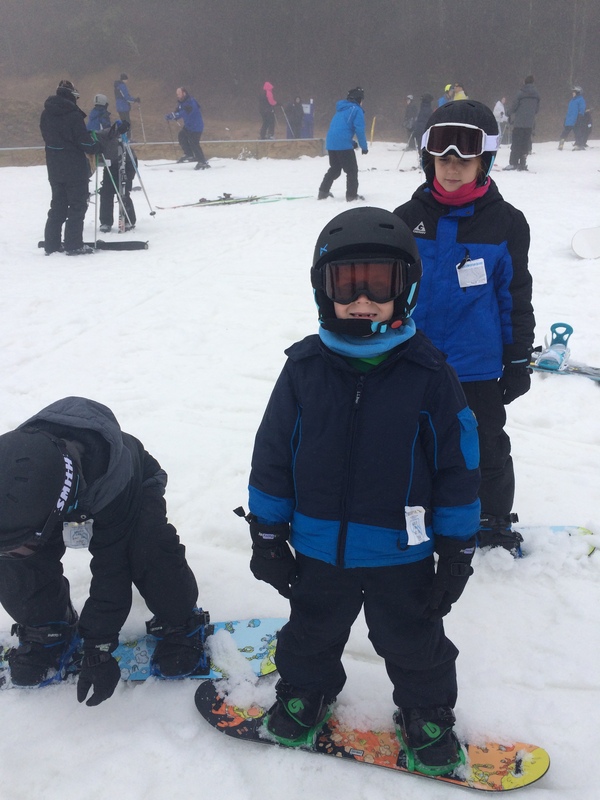 The Smarty team’s kids have taken snowboard and ski lessons at Beech and are forever hooked. It’s crazy how easy and naturally snowboarding and skiing comes to kids. (Note: If your kids can ripstick, then they’ll be tee’d up perfectly for the kick-booty Burton Learn to Ride Center at Beech. But, skiing is just as fun if that’s what they’re in to!) And psst! The peeps at Beech tell us the Black Diamond is OPEN for business, so latch on the boots and get out there! Whether you’re a beginner or progressive rider, you’re never too old to learn new tricks. With hands-on lessons from the best-trained instructors, anyone can experience the fun and excitement of snowboarding. Burton’s ‘Learn to Ride’ program makes getting on a snowboard fun and easy. With high-quality gear made specifically for beginners, the best hands-on instruction and a low pressure learning environment, their goal is to get everyone up and running before they know it! 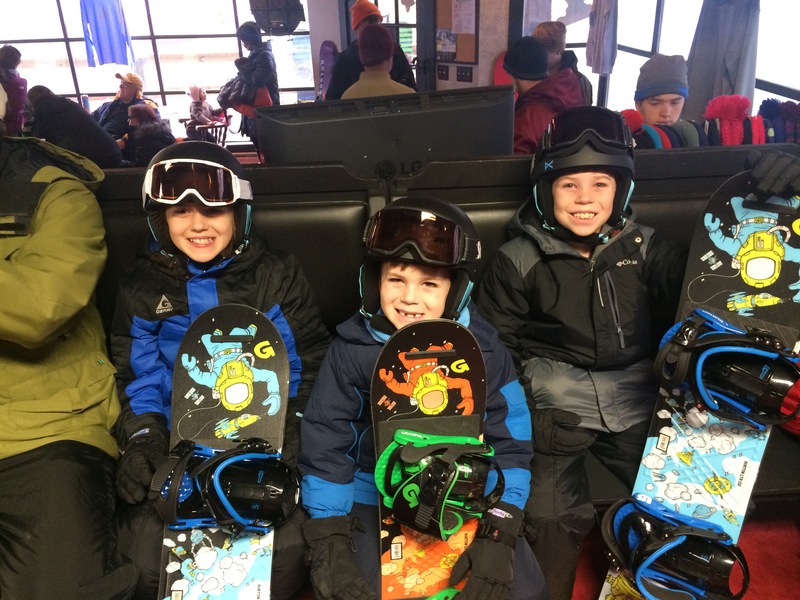 The professional ski and snowboard instructors at Beech Mountain Resort have a wealth of experience combined with a sharp focus on customer service. Whether you want to master more advanced techniques, or try skiing or snowboarding for the first time, our team of experts can customize lessons to suit all ability levels. Plus learn to ski free in January and February! Free Beginner lessons offered January/February Monday-Thursday (non-holiday) with purchase of rental equipment. Offer Valid for ages 8 and older. Please note that this offer does not apply President’s Day Monday. Beer & Cookies Pairing at Beech Mountain Brewing Co. This Friday night check out the Beer & Cookies Pairing at Beech Mountain Brewing Co.. Beer and Girl Scout cookies? Is there a lovelier than pair than that?! We think not! Remember to check the weather here. Don’t forget to hit Fred’s General Mercantile while you’re there. We are HUGE fans of Fred’s and their Backside Deli serves the best breakfast on the mountain!